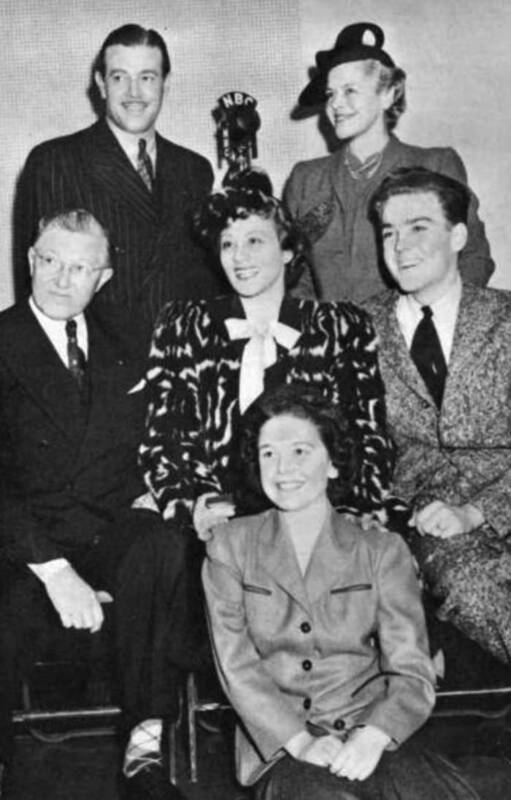 "Dear John: Book 4 Letter 48"
Dear John staring the lovely silent screen siren, Irene Rich is much like reading a personal diary of a wealthy, affluent grape juice drinking woman. 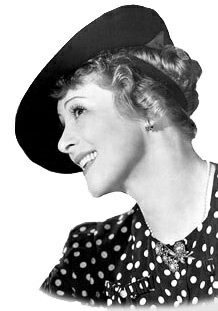 In 1933 she began her nationwide anthology program entitled "Dear John" (also called The Irene Rich Show) which lasted over a decade; however, only a few shows have been found. The usually blustering Gale Gordon from Our Miss Brooks, My Favorite Husband (among others) is Irene Rich's dreamy leading man in this show. Welch's Grape Juice Company advertised its juice as a weight loss aid—"don't give friends a way to say you are overweight." They suggest that you just mix ¾ glass of grape juice and ¼ glass water before meals and at bedtime. See also and Linda's First Love. This collection is also part of the Rare Soap Operas Collection. 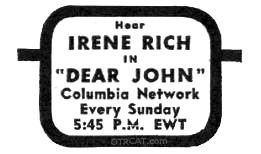 Be the first to comment on "Dear John (The Irene Rich Show)"